"Thanks again for conducting such an amazing class. 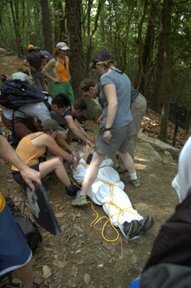 I really enjoyed myself and learned a lot about wilderness medicine. Wow you have a huge range of experience! I loved thinking outside the "box" and being challenged with finding creative solutions in the outdoors." "Oh just to let you know, I dislocated my right shoulder back in December (2008) during a concert. Luckily Neal was there and he remembered how to put it back in place in a matter of minutes. I knew the course would be beneficial! Thanks a million!" "Thanks for taking the time to share your valuable knowledge." "I just wanted to say thank you. I learned quite a bit, particularly from the hands on experiences. You really are a fantastic instructor; your enthusiasm, patience, knowledge, and encouragement really make a difference." "Thanks for such an amazing weekend! I thoroughly enjoyed myself..."
"Thanks for teaching us! The class was awesome. " "Just wanted to say thanks so much for an outstanding class. What a tremendous value! I don't know how you manage to do so much in such a short amount of time." "I enjoyed this weekend's course immensely!! Thank you very much for organizing it, and for your patience and energy throughout the weekend." "Thanks so much for the class this weekend. It was great. 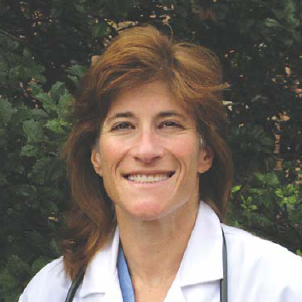 I learned a ton, and I was overly impressed with your energy and enthusiasm for sports medicine." "I think everything went great. I had a fantastic time and learned so much! Truly a memorable, and enriching weekend." " I really enjoyed your class this weekend. 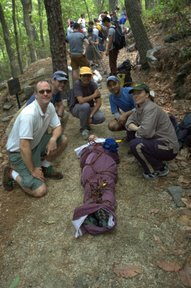 I learned a lot of really practical stuff and got some good ideas about gear and first aid supplies." " I gained some great experiences. I enjoyed learning from and meeting you. Just wanted to say thanks for making it so awesome." "I wanted to thank you very much for such a fabulous and educational weekend. I enjoyed every minute and learned far more than I imagined possible."